“The sideways-oval trend is a great way to take a classic shape like the oval and make it feel more unique and not so traditional. Particularly when set in a classic solitaire or pavé setting, the mix of traditional and modern gives the ring a cool edge while not going completely out of the realm of feeling bridal,” she recently told us. Intrigued and ready to see what we're talking about? 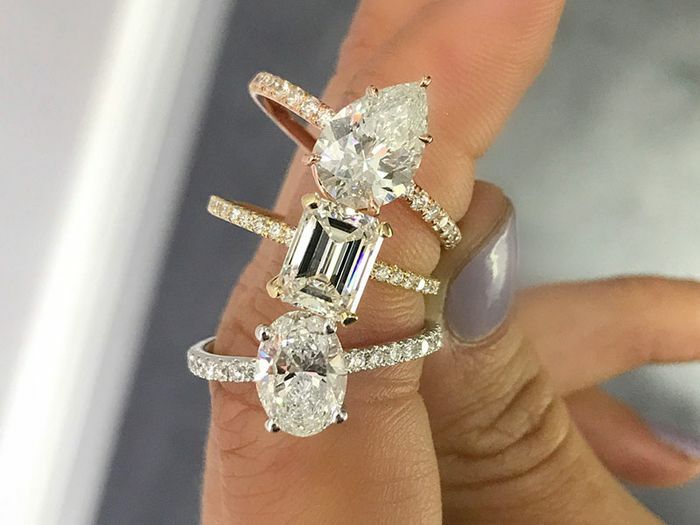 Check out the coolest engagement ring trend we’ve seen all year below. Up next, shop our edit of best party dresses perfect for New Year’s Eve.